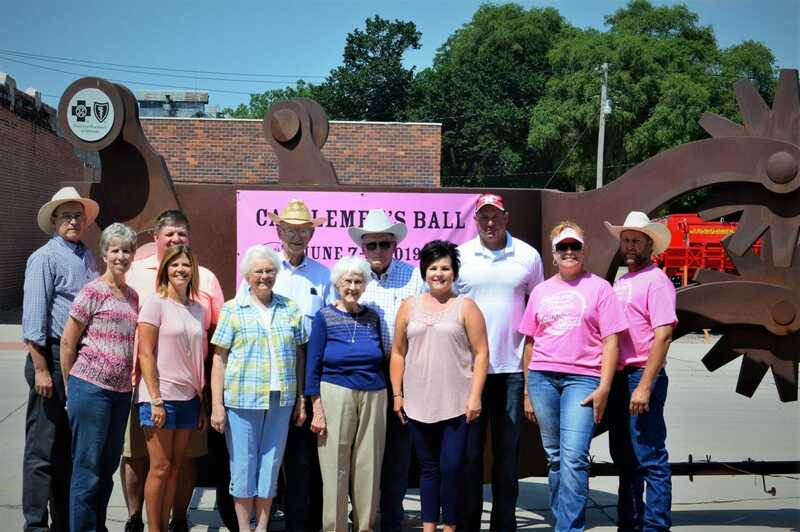 The 2019 Cattlemens’ Ball Committee is pleased to announce the first Calf for a Cure Donors, Jack and Carol Maddux and Eddie and Donna Nichols, all of Wauneta, Nebraska. Following the 2019 Wauneta Harvest Festival July 28, 2019, the couples posed for a group photo with C0-Hosts Derek & Allison Sandman and Wayne & Chris Krausnick, and Co-Chairs Joey & Myra Large and Shawn & Julie Jones. Madduxes and Nicholses have been lifelong cattle producers in southwest Nebraska. 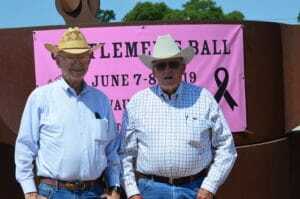 Both Jack and Eddie served as President of the Nebraska Stock Growers Association (now named Nebraska Cattlemen’s Association) and both Carol and Donna served as President of the Nebraska Cow-Belles. Eddie and Jack have served on National Boards and have received many honors. Jack & Carol Maddux and Eddie & Donna Nichols give to Calf for a Cure. Pictured with Co-Hosts and Co-Chairs of the 2019 Ball.